Thoughts from Sunday: I do love Sundays. A brie toastie for brunch with a vanilla cardamom coffee, a 2 hour walk through the fields near our house and roast pork for dinner. Among all of that, I read the ending of The Collector and it was bloody brilliant. I’ll be reviewing it over the next couple of weeks – it’s the kind of book that just needs to be discussed! It’s dark and manipulative and it’s absolutely fascinating. If anyone’s read it, I’d love to know what you think! I’m calling it a day now because I don’t want to pick anything up so soon after finishing The Collector. The ending was pretty intense so instead, Boyfriend and I are going to watch The Butler and tuck into some Christmas chocolates. 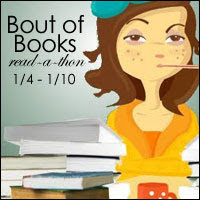 Hope you all had a wonderful week (read-a-thon or no read-a-thon) and read something fabulous! I’m actually really pleased with my read-a-thon! I’d already started both Station Eleven and Yes Please when the week began but I’m really happy to have finished both and to have read all of The Collector. The stand-out for the week has obviously been The Collector. I’ve been banging on about it on Twitter and here so I won’t labour the point again but it’s reminded me why I ought to read more classics and more literary fiction. It’s been a challenging read in many different ways and I’m hoping to try more books like it this year. Looking back at my goals, I fared pretty well when it came to the reading goals but not so well when it came to getting “out and about” and engaging with other participants. The reality is that my free time has been limited and reading and blogging takes up a lot of it. I am going to make more of an effort to discover new blogs in 2016 but this week it didn’t work out for me. What I have done this week is rediscover my enthusiasm for blogging. Writing less formal posts for a week has helped phase me into a different, less structured way of writing. I hope everybody has read something excellent and had a great week! Tell me about your favourites!